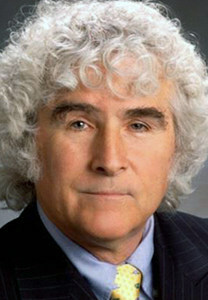 Stephen Bassett is the executive director of Paradigm Research Group, founded in 1996 to end a government imposed embargo on the truth behind the so-called “UFO” phenomenon. Stephen has spoken to audiences around the world about the implications of formal “Disclosure” by world governments of an extraterrestrial presence engaging the human race. He has given over 1,000 radio and television interviews, and PRG’s advocacy work has been extensively covered by national and international media. In 2013 PRG produced a “Citizen Hearing on Disclosure” at the National Press Club in Washington, DC. On November 5, 2014, PRG launched a Congressional Hearing/Political Initiative seeking the first hearings on Capitol Hill since 1968 regarding the extraterrestrial presence issue and working to see that issue included in the ongoing presidential campaign. PRG has assisted numerous organizations and initiatives working to 1) raise public awareness of both the extraterrestrial presence and the truth embargo, 2) convene open congressional hearings to take government and agency witness testimony, and 3) incite the political media to appropriately cover the attendant issues. There can be only one outcome to the Disclosure advocacy movement – the formal acknowledgment of the extraterrestrial presence by world governments. Mr. Bassett will take a somewhat complex and novel approach to what must follow Disclosure and why this approach would work. He will explain what we are really up against – the good, the bad and the ugly. It won’t be pretty, but it might be inspiring. Grant Cameron became involved in Ufology as the Vietnam War ended in May 1975 with personal sightings of an object which locally became known as Charlie Red Star. Over the next 18 months, he had many sightings of large objects and small (monitor) objects in the area. He spent countless days in the area photographing a series of strange objects and interviewing hundreds of witnesses who were involved. His research has focused on the actions of the President of the United States in the UFO problem. He has made 25+ trips to the National Archives in Washington D.C., and most of the various Presidential archives around the country looking for presidential UFO material. 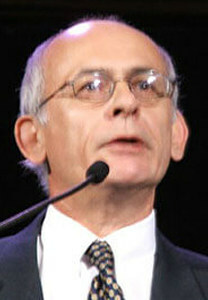 He has lectured widely in Canada, Europe, and the United States on numerous subjects including the Canadian government’s early investigations into flying saucers, UFO disclosure politics, the Rockefeller UFO Initiative, the Presidential UFO connection, the consciousness link to UFOs, and recent research that indicates that the force behind the UFO phenomena is carrying out a plan of disclosure as to what UFOs are and why they are here. He was awarded the International Researcher of the Year at the 2012 Leeds UFO conference, and the Researcher of the Year at the 2013 International UFO Congress in Phoenix Arizona. He lives in Winnipeg, Manitoba, Canada where he works full time on the UFO mystery. Grant Cameron will discuss the 70-year program by the United States government to slowly acclimatize the public to the fact that we are being interacted by UFOs and the intelligence behind the phenomena. The lecture will go back to 1947 and provide examples through the years, showing that those that control the UFO secrets are gradually leaking the story of an off-world intelligence to the public. The lecture will also look at the latest developments in the Pentagon UFO program, AATIP, as exposed in the New York Times in December 2017. Finally, there will be a review of the four components of evidence that has been gathered so far 1) Reports produced on UAPs and possible propulsion 2) Recovered UAP metals 3) Videos of UAPs captured by the military and 4) Work being done with experiencers who have been injured by the phenomena. 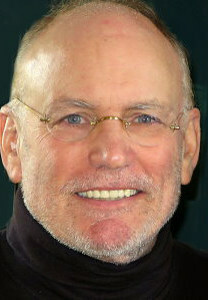 Tom Danheiser is the Senior Producer for the Nationally Syndicated Coast To Coast AM Radio Program. Tom is a native Californian who started out his radio and TV career as a big band DJ. He went on to work at a number of Los Angeles radio stations including KABC, KLOS, KSPN, and Radio Disney, and joined Premiere Radio Networks in 2002, where he produced the network radio show The Motorized World Of Leon Kaplan. He has produced pilots for the Sci-Fi Television Network, served as Associate Producer for the Suzy Orman TV Show, and is the Executive Producer of the Gaiam internet-based TV program Beyond Belief. In 2016, Tom founded Danheiser/Wagner Entertainment where he does Voice Over, announces, produces live events, and writes, produces, and directs live stage shows; bringing radio to stage. Tom’s interests include going to hockey games, taking drives in his convertible while listening to music, hanging out with his dog Freddy, and going to the shooting range. He is a big supporter of our veterans and in 2014 produced a charity CD with all proceeds going to Veteran’s hospitals around the U.S.; the CD currently lives on Amazon and is called Holiday Magic Coast Style. 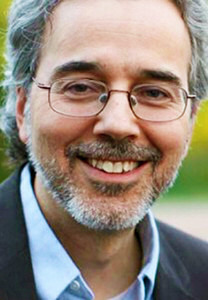 Richard Dolan is one of the world’s leading researchers and writers on the subject of UFOs, and believes that they constitute the greatest mystery of our time. For nearly three decades, Richard has been a dedicated student of all things related to UFOs, steadily expanding his interests within that topic from his initial focus on government documents and the cover-up. He is the author of several books including the definitive, two-volumes of history, UFOs and the National Security State, both ground-breaking works which together provide the most factually complete and accessible narrative of the UFO subject available anywhere. He also co-authored a speculative book about the future, A.D. After Disclosure, the first-ever analysis not only of how UFO secrecy might end, but of the all-important question: what happens next? Other works by Richard include UFOs for the 21st Century Mind, the best single-volume study of UFOs in recent years, as well as his ‘Richard Dolan Lecture Series’ booklets. Richard hosts a weekly radio show, The Richard Dolan Show, on KGRA radio, and a frequent guest on Coast-to-Coast AM Radio. 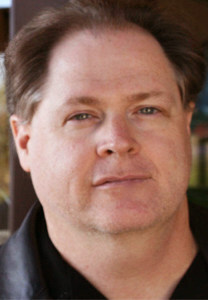 He is currently featured on several television series and documentaries, including Ancient Aliens, Hangar One: The UFO Files and Close Encounters. 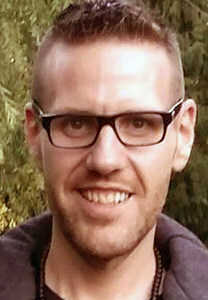 Jonny Enoch is the founder of MetaphysicalSource.com, a clinical hypnotherapist, lecturer, and writer from Vancouver, BC, Canada. Not only has he been researching extraterrestrial phenomena and esoteric subjects for over 20 years, but after witnessing a series of unexplainable events while growing up, his search for answers has led him on adventures all over the world. This includes interviewing ET contactees, whistleblowers, and UFO witnesses. With his fascination of the human mind, Jonny spends most of his free time studying consciousness as a non-local awareness. This includes interviewing Near Death Experience survivors and case studies. To find out more about why the public hasn’t made contact with extraterrestrials, he flew out to Puerto Rico to meet with researchers at one of the largest radio telescopes in the world at the Arecibo Observatory. Jonny’s ground-breaking research has also been featured in numerous interviews, articles and has been well received at conferences. His goal is to prepare the public for full disclosure and create a peaceful future that includes space exploration and the development of consciousness based sciences. Currently, he is a featured speaker on the Ancient Mysteries tour of Egypt. He is also writing a book on Advanced Civilizations and Ancient Consciousness Technologies. LECTURE: The Cosmic Origins of Civilization: Humanity Awakens to the ET Presence- Again! In this exciting presentation, Jonny Enoch will reveal the cosmic blueprint for civilization hidden in our ancient histories, religions, and sciences. He will also explore modern day ET encounters and UFO sightings. With cutting-edge new research based on his interviews with contactees, clinical hypnotherapy sessions, and the investigation of megalithic sites around the world, Jonny will delve into many fascinating subjects. This includes great cosmological mysteries, the secret origins of humanity, and antediluvian civilizations. Did our ancestors have encounters with highly advanced extraterrestrials that seeded life on our planet? Are these interactions ongoing? Are we a hybrid species with an encoded message in our DNA? If aliens are real, why haven’t we heard from them yet? Find out the answers to all these questions and more. The future of humanity is now and disclosure is here. George Noory, host of the nationally syndicated radio program, Coast to Coast AM, says if he weren’t a national radio talk show host he’d be in politics. Heard by millions of listeners, Coast To Coast AM airs on approximately 564 stations in the U.S., Canada, Mexico and Guam. In December 2012, GAIAM TV launched “Beyond Belief with George Noory,” a new TV show exploring the unknown and mysteries of the universe. The one-hour, weekly series features Noory’s informative, investigative and dynamic conversations, as well as some of his favorite guests from the radio program. 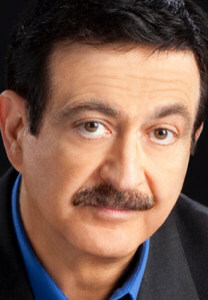 Noory has also appeared on the History Channel’s Ancient Aliens, SYFY, The Larry King Show and numerous others. Daniel Sheehan is an in-demand lecturer and consultant who expertly shares wisdom and insights gleaned from his extraordinary career of pioneering human rights activism and cutting-edge social psychology education. He is a Harvard-educated constitutional lawyer and social ethics scholar involved with many high-profile civil rights and social justice cases of the past five decades. Mr. Sheehan’s long and impressive resume includes work on important issues such as women’s rights, nuclear industry regulation, Native Peoples’ rights, education, and governmental reform and accountability. He has served as chief counsel in numerous historically-significant cases such as the Nixon Pentagon Papers, The Iran-Contra Affair, Karen Silkwood and the Three Mile Island Nuclear Disaster. He is the 20-year President and Chief Counsel of the Washington, D.C.-based Christic Institute and served as the Director of The Strategic Initiative to Identify The New Paradigm project of the Gorbachev Institute’s State of the World Forum. He is the founder and Director of the New Paradigm Institute based in Berkeley, CA and The Oscar Romero Institute in Santa Cruz, CA, and lead Counsel of the Lakota People’s Law Project in Bismarck, ND. 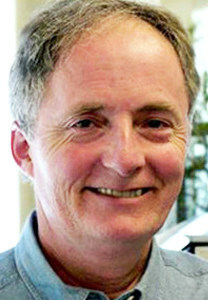 American public interest trial attorney and Constitutional scholar Daniel Sheehan will present his University of California-taught “Relationship of The New Paradigm Worldview to The Octave of Traditional Human Worldviews” – and will then apply this tool of sociological analysis to important recent events in the Disclosure Movement. This presentation explores the relationship between the Quest to Identify The New Paradigm; The U.S. Pentagon’s “Advanced Aviation Threat Identification Program” and the To The Stars Academy. Is The UFO Phenomenon evidence of a ‘threat’ to our human species posed by Extra-Terrestrial Life? Victor Viggiani (Event Emcee) is the News Director of Zland Communications, an international news service. His study of anomalous aerial phenomenon, research and analysis of extraterrestrial issues spans over 30 years. His experience involves UFO sightings report investigation, academic and radio journalism with a primary focus on UFO/ET government Disclosure. Victor has addressed the media and audiences in Sydney and Brisbane Australia, Washington D.C., at the Washington D.C. National Press Club, CBC and CTV Toronto television news programs and at Convocation Hall University of Toronto. Victor is a co-host on the Richard Syrett Show on AM 740 Radio in Toronto.